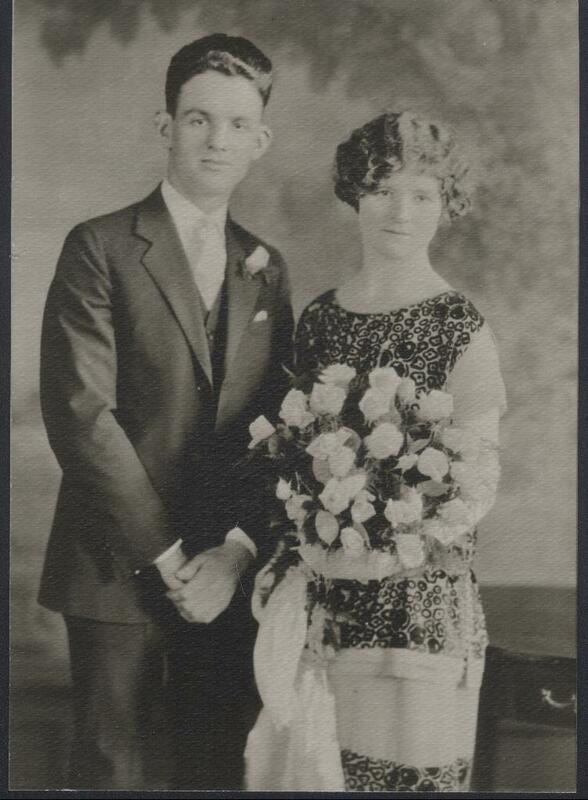 Frank & Agnes (O'Connor) McGill were wed on 19 Feb 1925 at St Joseph's Church in Pawtucket, RI. They raised their six children on Glenwood Avenue in that city. Frank (1902-1971) was born in County Armagh, N Ireland and Agnes (1895-1944) in County Mayo, Ireland. Agnes arrived in New York aboard the SS St Louis in 1916 at the age of twenty and Frank arrived in New York in 1920 aboard the SS Kaiserin Auguste Victoria at the age of eighteen. In June of 2004, they have twenty-eight grandchildren and seventy-seven great grandchildren living across the United States. 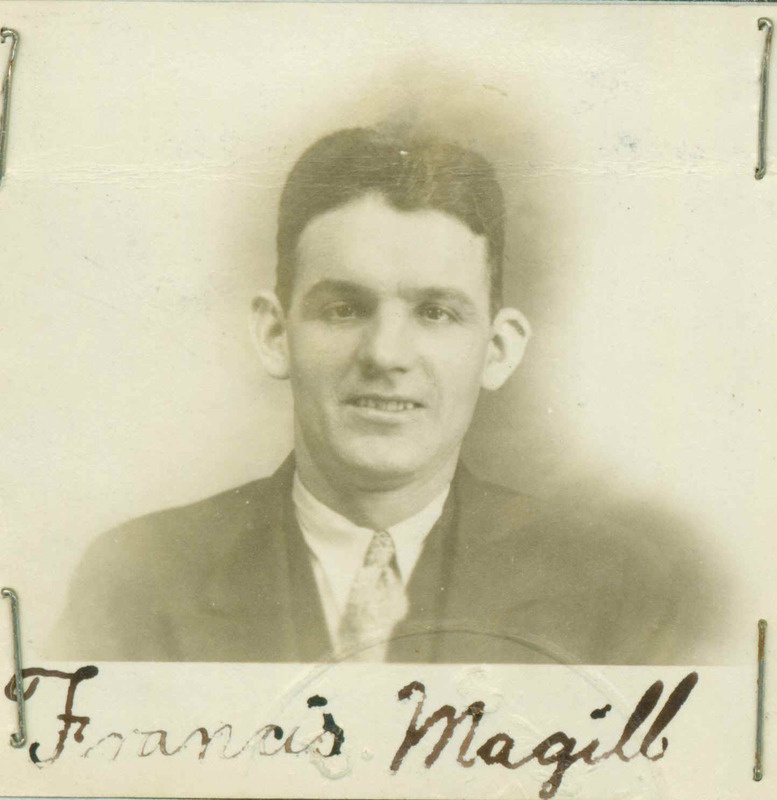 This is a photo and signature of Francis Magill (1902-1971), aka Francis (Frank) McGill. The photo was taken in March of 1931, when he was twenty-nine years of age. This photo is attached to his Declaration of Intention to become a citizen of the United States.